Atlanta-based startup INvaryant launched a new company brand and new software today that invites users to help change the healthcare industry. The company, formerly UMBRA Health, is offering a comprehensive electronic Personal Health Record (PHR) that collects electronic medical and health records into a single, user-controlled account. INvaryant gives patients total ownership of, and instant access to, all of their personal health data, which was previously scattered across various apps, devices, and online portals for individual providers. This new approach to user-owned health empowers patients to access care wherever and whenever they want without sacrificing continuity of care. It also equips healthcare providers with more accurate and comprehensive information, enabling them to deliver better care and a better patient experience. The first version of INvaryant rolls out this week with a backlog of features that focus on tracking complete health, including: nutritional intake, exercise levels, adverse events, and a host of other factors. Medical care has been fragmenting for some time now. Today, there are more care channels than ever before, each with its own method for capturing patient information. Every provider maintains their own electronic medical record for their patients. In addition, patients are increasingly able to monitor their own health-related activities, the data from which resides on separate devices or systems. So, despite more access and better technology, the problem of fragmented care is getting worse. Unifying a patient’s health and medical information has been a goal for healthcare and health IT professionals for years. To date, attempts have been unsuccessful because products require too much effort from the user, and there have been major issues with compatibility across devices and systems. The creators of INvariant recognized that the patient is the one constant at every appointment, so INvaryant’s solution is to give all the health data to the patient. INvaryant updates the unified user record automatically after any healthcare visiting, offering ease of use and convenience that gives the software a unique “stickiness” within the consumer market. INvaryant tracks all of a user’s immunizations, medications, tests, procedures, and personal health data from wearable devices and other sources. The software also includes family history from any linked user accounts. 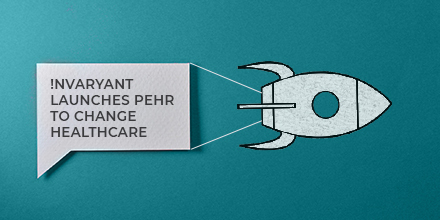 We are at the forefront of epic change in healthcare. The era of the complacent patient is over. Millennials have disrupted media, transportation, lodging, and many other industries. Healthcare is next. This revolution bodes well for consumers and providers alike because healthcare will be more connected, more convenient, safer, and more secure. We are excited to disrupt healthcare by empowering patients to take control of their health and medical care. !